Neto is a non-agricultural, pre-industrial, moderate population vacuum world, which warrants hazardous environment precautions, with over a hundred million, but not yet at a billion sophonts in population size. It is a member of the Third Imperium in the Narquel Subsector of Diaspora Sector in the Domain of Sol. 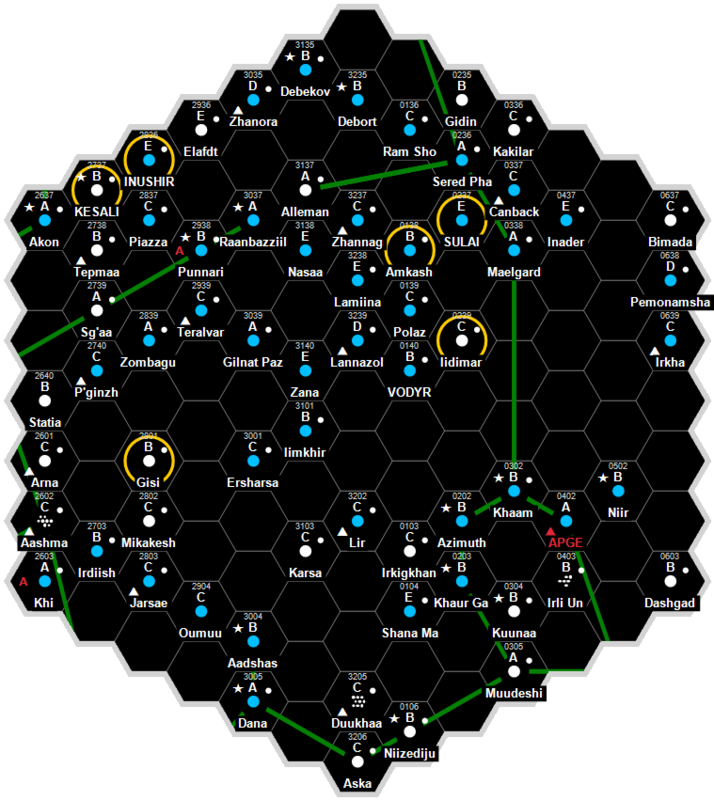 The world is part of the Leam-Orichalc Super Cluster. This world supplies starships to Soyuz and Gasudarsk, thereby supporting their efforts to contain the Ecclesiasty of Narquel. Neto, as a member world of the Third Imperium, holds the estate of three members of the Imperial Nobility, who are charged with overseeing the world. Neto has an excellent quality starport. TBD possesses a Technology Level of TL–14 or TL-E in Hexadecimal Notation. Neto’s economy is dominated by the new industrial focus on starship production, and several rival shipyards are inviting megacoporation investment to facilitate plans for expansion. So far, Ling-Standard Products, GSbAG, and General Products have all shown interest. Charles E. Gannon. Astrogators' Guide to the Diaspora Sector (Game Designers Workshop, 1992), TBD. Charles E. Gannon. Assignment: Vigilante (Game Designers Workshop, 1992), TBD. Kevin Knight. Traveller Chronicle 02 (Sword of the Knight Publications, 1993), TBD. Kevin Knight. Traveller Chronicle 03 (Sword of the Knight Publications, 1994), TBD. Kevin Knight. Traveller Chronicle 04 (Sword of the Knight Publications, 1994), TBD. Kevin Knight. Traveller Chronicle 05 (Sword of the Knight Publications, 1994), TBD. Frank Chadwick. Vampire Fleets (Game Designers Workshop, 1995), TBD. Frank Chadwick. The Guilded Lilly (Game Designers Workshop, 1995), TBD. Martin Dougherty. Early Fallen (Avenger Enterprises, 2006), TBD. TBD. Belly of the Beast (Avenger Enterprises, 2007), TBD. This page was last modified on 23 September 2018, at 08:16.